Tracey Emin & William Blake in Focus, Tate Liverpool, until 3rd September 2017, free. It’s in the nature of the best art to be daring. What would our art, indeed society’s entire visual language, be like if there weren’t artists constantly trying to push things forward? But the thing about being daring is that it doesn’t always work. If your idea is too out of step with society’s expectations, you can almost guarantee confusion and outrage will follow. Tracey Emin and William Blake are two artists who have experienced these reactions to their art. Blake wasn’t accepted in his lifetime, and I am old enough to remember the furore which surrounded the nomination for the Turner Prize of Emin’s My Bed in 1998. The concept of this show is that Emin and Blake share a passion for liberalism in art, and express this spirit of daring in their work. My feeling? That there is a link to be made between the artists, but it could be better explored than it is here. What will draw most visitors here is the opportunity to see My Bed – and there it is, the second you walk in. In a way, the ‘expectedness‘ of it stuck me. When I’ve gone to see famous paintings ‘in the flesh’, usually I’m hit by a detail a photo can’t tell you – size, vibrancy, brushwork. My Bed is exactly what I expected it to be. And yet Emin made this bed herself on Thursday, calling it her “best Bed ever”. Maybe it’s just the nature of a readymade to be so familiar. It’s still fascinating to explore what it represents and the pants, fags and condoms do tell a story. Like it or not this was a daring artwork, bringing people face-to-face with the realities of life they’d rather hide. We can see it in retrospect as shaking off the last vestiges of Victorian prudishness. 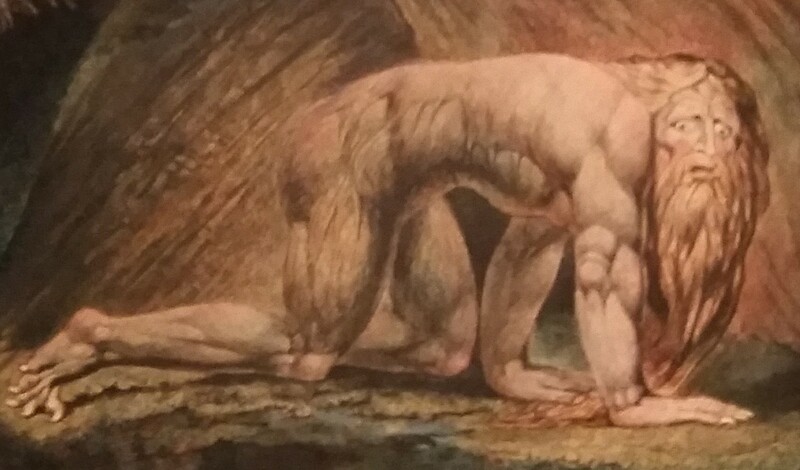 The majority of the rest of the exhibition is dedicated to works by William Blake. Now recognised as a rebellious genius, he was largely rejected in his lifetime for being strongly critical of the social norms around him. His work is a source of inspiration to many artists including Emin, quoted here as calling him “mad, passionate and romantic“. Blake was also intensely religious, in the ‘I see visions’ way. A fact that’s impossible to ignore here – religion is the theme of almost every work on display here. Even more striking is that most of the works chosen here seem to be about sin and judgement. 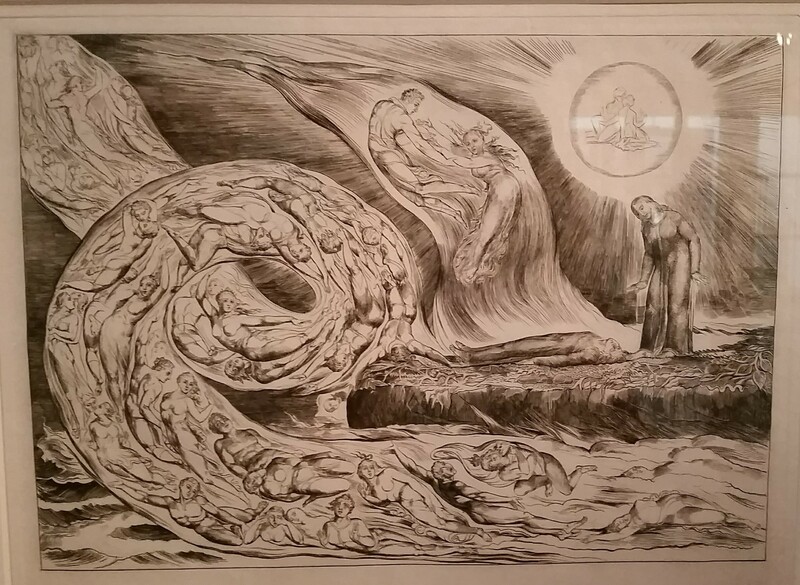 Granted, the whole first series is illustrations for Dante’s Inferno, in which you may expect those themes. But then it carries on though all three sections that this gallery has been divided into. Given this show’s concept of liberalism, this may seem puzzling – more of a contrast with My Bed than a conversation. My Bed’s dirt, pills and alcohol is a reflection of the liberated, honest self. It’s honest about human foibles and desires. And there, right behind it so it’s in your eyeline from the very beginning, is an illustration for The Circle of the Lustful. The figures are being punished in Hell for the very sins that have undoubtedly been committed in this bed. Which seems like a strange connection to make. Nebuchadnezzar is here, a warning against man’s tendency to arrogance. Of course if you know about William Blake before you visit, you might know that he was an advocate for free love. With this knowledge, the artworks can be seen as being judgements on the people who held on to 18th-century social conventions – the hypocrites who would condemn unmarried lovers whilst themselves visiting a whorehouse. In this context, this show is a celebration of how far we have come as a society. 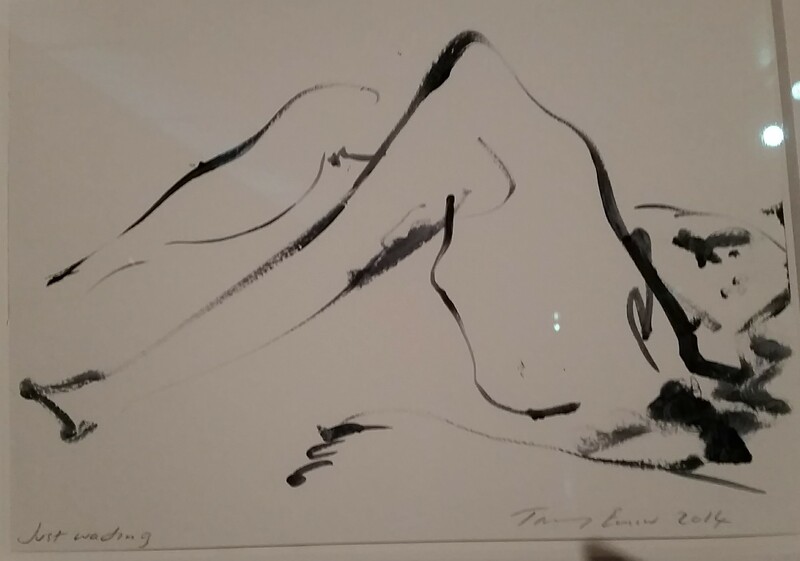 As well as My Bed there is also a series of Emin’s sketches here. They are overtly sexual, but really won’t cause any visitors to bat an eyelid in disgust. We now live in a society where sexuality is celebrated and can be explored freely, and I for one am glad of that. But here’s the thing – you have to come into this exhibition with that prior knowledge. Otherwise the story is much stranger, as if your physical desires are still being judged. Tate’s only description of the link between the artists is that Blake is the “absent figure from [Emin’s] bed…expressing human nakedness“. Which seems rather woolly to me. It doesn’t make you think about the path of progress people have trodden out over the past 200 years, or how and why Blake would approve of Emin’s work. I am glad this exhibition is here. Even if people only come to see My Bed, they’re still visiting a gallery, and hopefully stay to explore some more art. But I feel that the story being told here is not that clear and might leave people feeling not more confused, rather than more knowledgeable, about art. Which would be a shame, we could all do with a bit of Blake’s spirit in our lives. 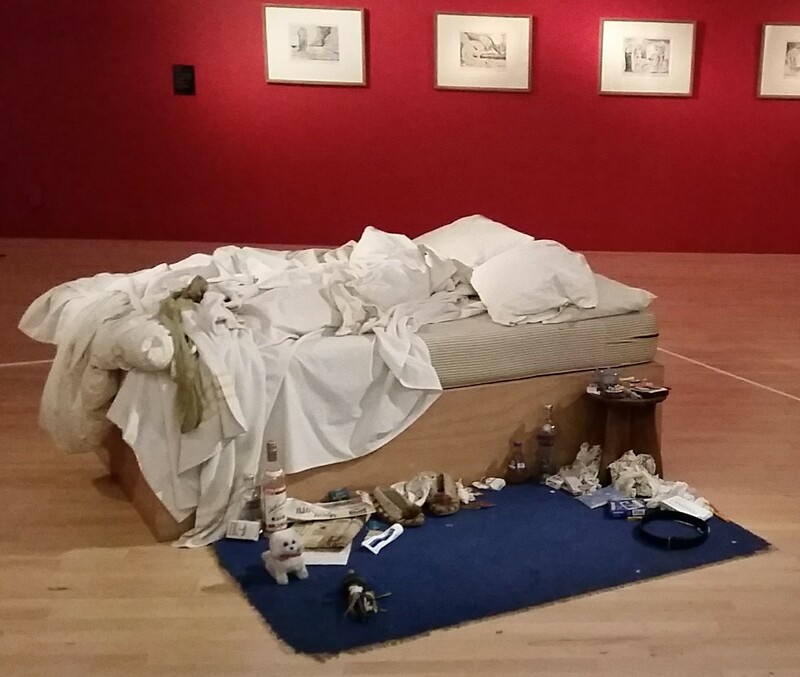 This entry was posted in Exhibitions, Home, Past exhibitions and tagged 1990s, art, Art History, bed, culture, Liverpool, Tracey Emin, William Blake, Young British Artists. Bookmark the permalink.